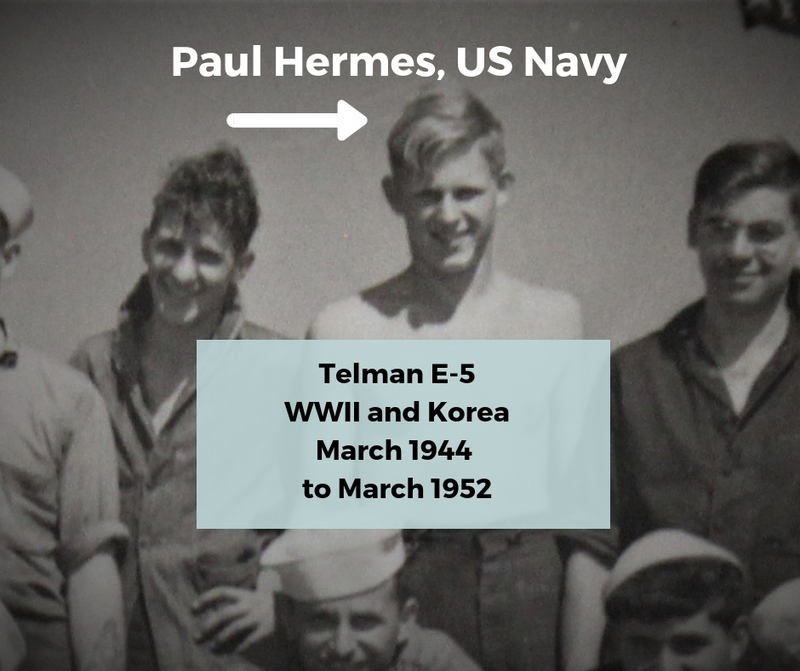 Paul Hermes enlisted in the Navy and served during WWII and Korea. Paul Hermes was born and raised in Philadelphia. He was the first generation of his family to be born here in the country. 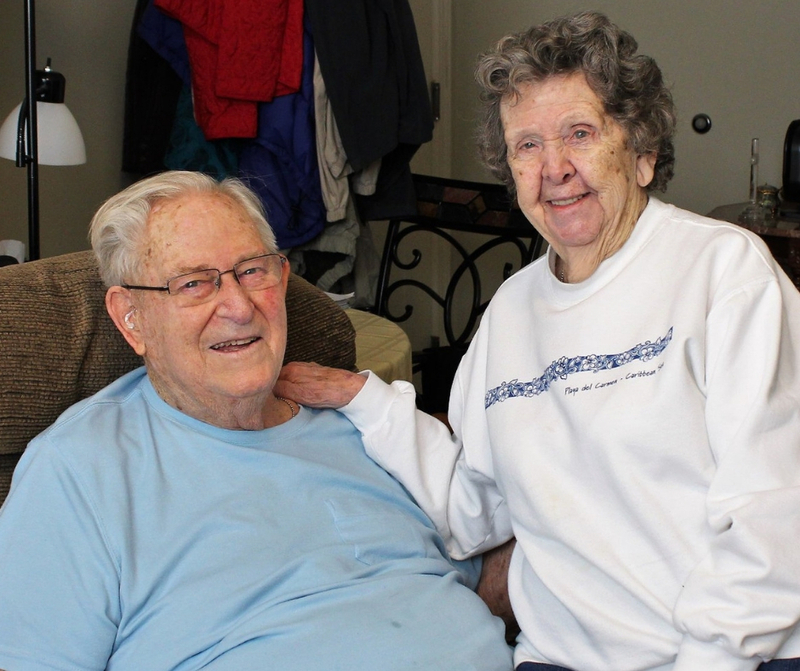 Paul understands sacrifices and so did his parents who immigrated from Germany in the 1920s. He reflected on the poverty so prevalent during the Great Depression and about his parents who were resident aliens during WWII. These were major factors which influenced him throughout his life. Because of his experiences and influences, Paul decided to serve our nation. He enlisted along with three of his high school friends (they all played basketball together) prior to finishing their high school education. Luckily, their recruiter delayed their induction so he and his friends were able to graduate. “I wanted to enlist to preserve our rights for all in the United States,” said Paul. The day after graduation, he and his friends reported to Maryland for training, and once training was completed the men were separated and sent on different assignments, and remained lifelong friends. Assigned as a deck seaman on board USS Edward H. Allen, Paul began his Navy service and sailed out of Boston in March 1944. Paul’s CO selected him to serve as the ship’s mailman, and he advanced to Petty Officer 3rd Class. His position as ship’s mailman led to some unusual experiences and afforded him a close relationship with the CO and other crew members. The ship Paul performed his duties in Miami, and Casco Bay, Maine. While the ship’s crew prepared for service in the Pacific (as a radar picket ship) the war ended. He was released from active duty in February 1946 but remained in the reserves. 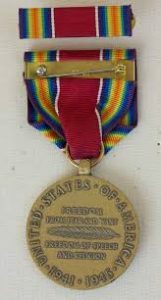 Throughout his Navy career, Paul was honored with several awards, including the American Theater Ribbon and the WWII Victory Medal. Hero’s Bridge collaborated with local VFW partners to record Paul’s history and submitted his oral history the the Library of Congress Veterans History Project. Paul, we thank you for your service. Paul returned to active duty when the Korean War began and served as the mailman at US Naval Air Station in Atlantic City. Paul completed his Navy enlistment in March of 1952 and transitioned into his professional career where he spent time working as a manager for E590 (now known as Exxon) and Esso Corporation where he worked for 37 years.